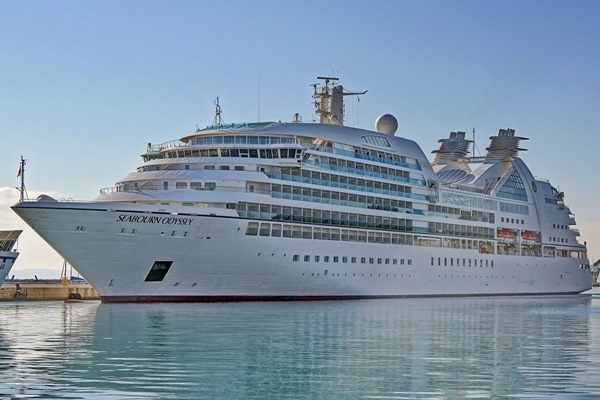 When would you like to stay at Seabourn Odyssey Cruise - Check Availability & Room Rates!!! Seabourn Odyssey Cruise; Being built and launched in Genova which is an Italian city, Seabourn Odyssey which is 32 thousand gross tons in weight is 198 meters in length. It has a capacity of 450 passengers with its 225 cabins and 335 crew members. The best part of the ship which is deemed to deserve the award for the best small cruise ship of last 7 years consists of private living space. The rooms of the ship which embodies almost all luxury that is located in a 5 star hotel are the suites ranging from 295 to 600 square meters in size. There are private services like jacuzzi, Turkish bath and solarium section in the suites which have the balconies with ocean view.